The Marines are with the 3rd Marine Aircraft Wing based at MCAS Miramar. An investigation has been launched into a viral social media post showing two San Diego based U.S. Marines, in uniform, posing in what appears to be blackface. 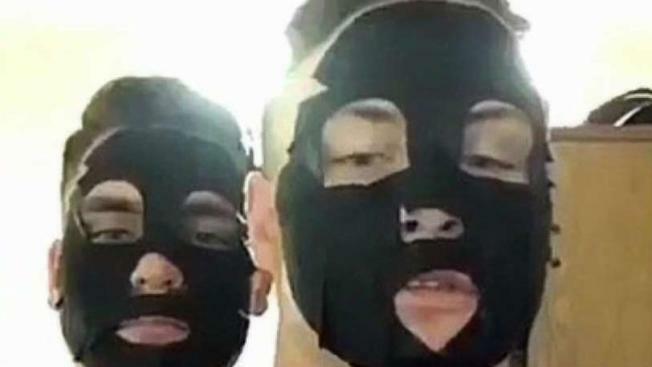 The video, originally posted on Snapchat and shared virally on Twitter, shows one of the Marines saying what sounds like the word “blackface,” followed by what sounds like a racial slur used against African Americans. According to KPBS, one of the Marines said they were wearing black facial cleansing masks made of charcoal. The Marine told KPBS that he didn’t mean to post the images and called it “a bad mistake." "We had no intention to offend,” he said. A spokesperson for 3rd Marine Aircraft Wing tells NBC 7 that USMC officials are aware of the post and have initiated an investigation "to determine the facts and circumstances surrounding the content." "3rd MAW takes all allegations of discriminatory behavior very seriously as they stand in stark contrast of our core values of honor, courage and commitment and do not reflect the discipline and professionalism of the Marines and Sailors of 3rd MAW," 1st Lt. Fredrick D. Walker, Outreach Officer, Communication Strategy and Operations said in a written statement. One man NBC 7 spoke with said the picture didn't upset him, but he understands why others would be upset. “I really wouldn't be offended by it. I get a lot of people would, but it's pretty dumb for them to do that being in the military,” he said. Some people told us they thought it was poor judgment, but didn’t consider it a reflection of the Marine Corps as a whole. “The military is pretty diverse, so it's just kind of, probably more of an individual thing,” a man having lunch near MCAS Miramar told NBC 7. The general consensus was that disciplinary action should be taken by the military. “Some sort of reprimand would be a good idea, definitely,” one woman said. "We are aware of the post. An investigation has been initiated to determine the facts and circumstances surrounding the content. Our leaders are committed to maintaining an environment of professionalism, dignity, and respect. 3rd MAW takes all allegations of discriminatory behavior very seriously as they stand in stark contrast of our core values of honor, courage, and commitment and do not reflect the discipline and professionalism of the Marines and Sailors of 3rd MAW. It would be inappropriate to comment further on an ongoing investigation."